This is a Reissue I really enjoy posting about. I never could get my hands on this record, because the import costs where way out of a fair amount. I only know their newer piece of art 'Gealtacht Mael Mórdha' from 2007. 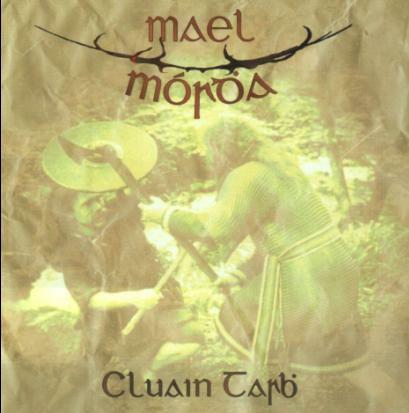 However, Cluain Tarbh was originally released 2005. Mael Mordha also released a split ep with Primordial, which they eventually could be compared with, albeit Mael Mordha play Celtic Doom/Death instead of Celtic/Folk/Black. the then high king of Éire, Brian Boru and the king of Leinster, Mael Mórdha."